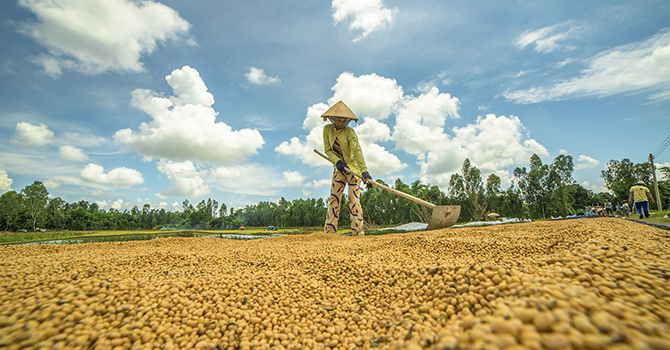 After breakfast on board, step ashore and take a stroll to a lively outdoor market. Visit the historic house of the real-life character in the acclaimed novel and film “The Lover” by Marguerite Duras. Back on board, cruise towards Can Tho along narrow canals,passing several monkey bridges. Lunch is served on board,before another shore excursion to a Cao Dai temple. Board a small rowing sampan to further explore the small armlets of the river. Your last stop before sunset is at an ancient house dating back to the 19th century where a dramatic candlelit dinner will be served. 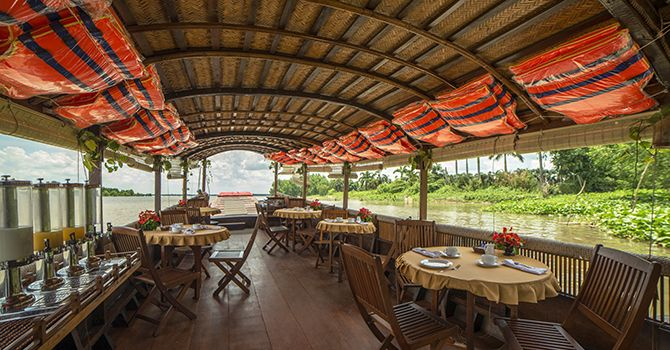 After dinner, return to the Song Xanh as it continues its cruise towards Can Tho. Overnight on board. We set off early at about 6:30 am to visit the famous Cai Rang Floating Market. 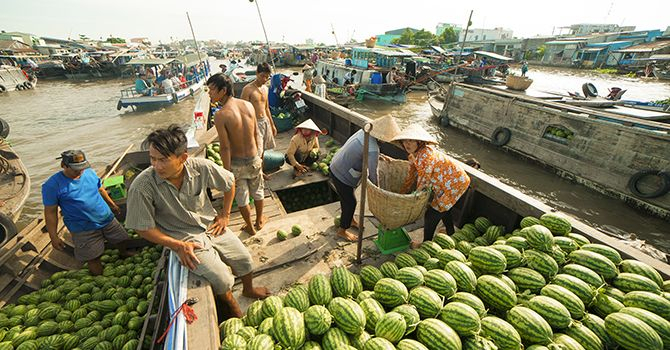 Breakfast is served on board while the Song Xanh navigates towards the market among local barges laden with fruit and vegetables. Be sure to have your camera ready for photos from this unique vantage point! 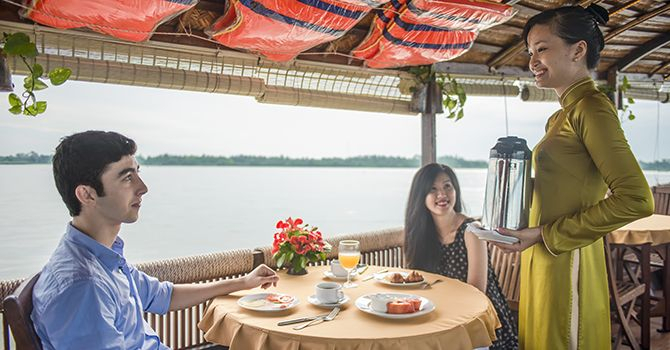 Later on, cruise towards Victoria Can Tho and disembark at the hotel’s private jetty. 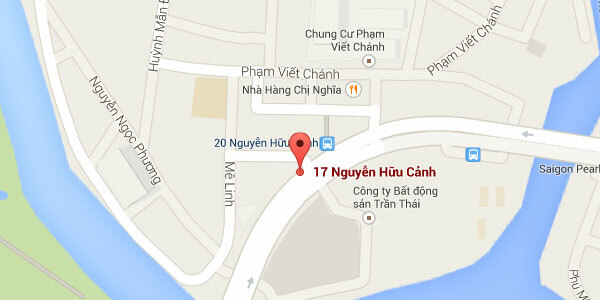 Meet us at the Victoria Can Tho Resort jetty at 10:30 am. Your crew welcomes you on board with cold towels and a refreshing drink as you get settled. 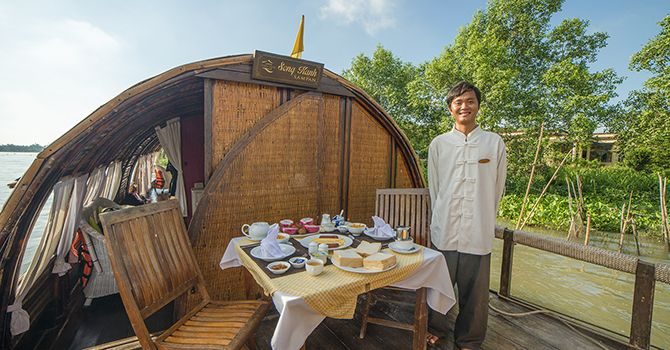 From our private sampan, observe life as it plays out on shore – people going about their daily activities against picturesque landscapes, passing local barges laden with produce from the region – while your attentive crew serves tea and seasonal fruit. 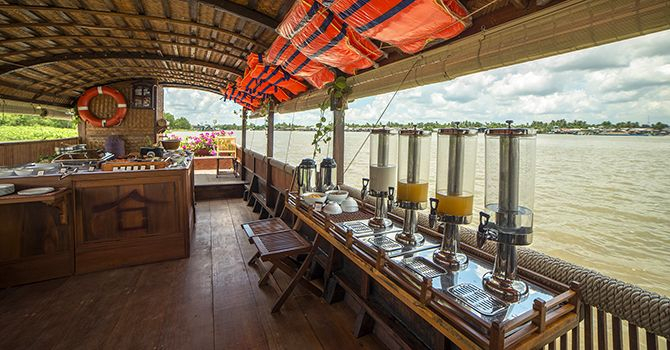 Your sampan sails as you enjoy lunch on board, with the mighty Hau River as a backdrop, one of the two largest arms of the Mekong. After lunch, stop for the first shore excursion involves a visit to a small brick factory and a vegetable garden. 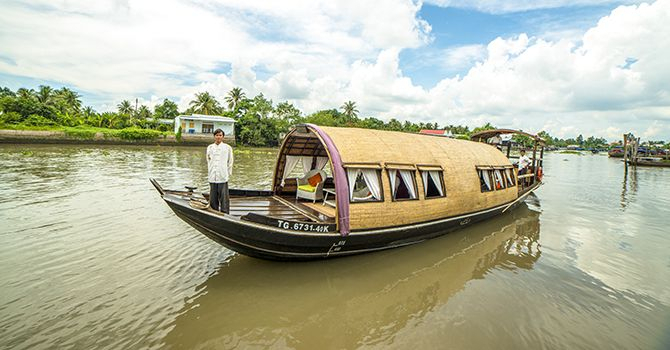 Enjoy exploring the picturesque waterways around the village with a trip on a small row boat. Return to the sampan for dinner. 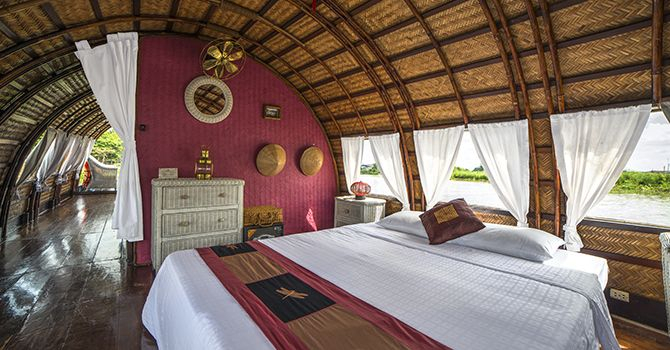 Enjoy your first night on board your sampan as it moors on the Mekong River. 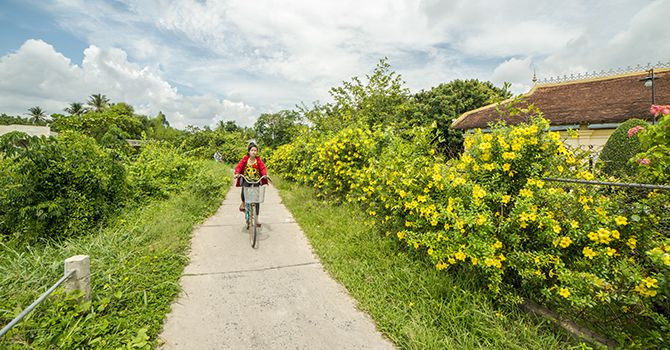 visit of Cao dai temple before cruising towards the charming town of Sa Dec along narrow canals, passing under several monkey bridges and past peaceful villages. Lunch is served on board. Arriving at Sa Dec, step ashore and stroll through the colorful outdoor market. Visit the historic house of the real-life character in the acclaimed novel and film “The Lover” by Marguerite Duras. second night on board the Song Xanh, on the Tien River.